Frenkel, Edward. Love and Math: The Heart of Hidden Reality. I discovered Numberphile back when the -1/12 video went viral. In the course of browsing their videos, I came across Love and Math, since Dr. Frenkel is one of the mathematicians consulted in the videos. The purpose of the book was billed as showing how math-haters can love math, so I thought I’d give it a shot. I didn’t particularly care for this book. It’s half biography, half this-is-the-math-my-life’s-work-is-based-on, and my reaction to the book splits evenly down that line of demarcation. I found the biographical sections fascinating and compelling writing; I found the math sections almost impenetrably complex. Dr. Frenkel is a native Russian, whose Jewish heritage precluded him from admission to Moscow’s highest university with the best math program. The stories of institutionalized racism and anti-Semitism are heartbreaking. The genuine affection and appreciation that Dr. Frenkel shows toward his mentors and teachers is strikingly beautiful, and many times I found myself moved by his sentiments and longing to be that kind of teacher myself. But the math. 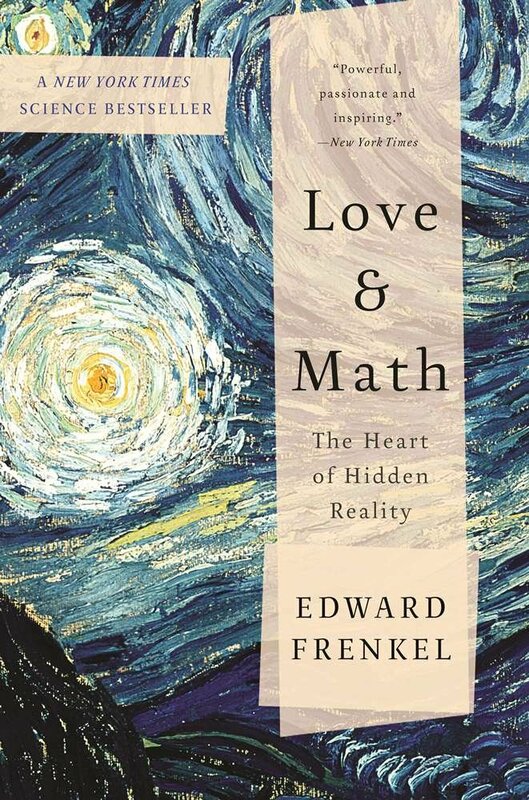 The math that’s typically taught in US education systems is the ancient, established-for-centuries variety; Dr. Frenkel’s aim in the book is to show that there’s more to math than the quadratic equations and differential calculus that many of us suffered through in high school and college. I’m sure the modern math he describes is incredible, but I have to take his word for it. He valiantly attempts to describe and explain what’s going on in the various problems and projects he’s working on, but it’s tough sledding to read through. He even assumes in the introduction that you’ll take multiple readings, going back to dive deeper into the heavy math and footnotes on subsequent trips through the book. I’m not sure I’m up for it, honestly. It’s highly likely that my disappointment with the book lies more in misplaced expectations than the actual content of the book itself. I wish I could combine the robust, Trinitarian orthodoxy and clarity of Vern Poythress with the compelling narrative of Edward Frenkel. That would be an amazing book on math. Alas, neither Redeeming Mathematics nor Love & Math ultimately satisfied.